A new study from scientists at Environment and Climate Change Canada this week warns that the country is warming more quickly than the rest of the world. What's at stake for Canadians living in urban areas that aren't prepared for a changing climate? 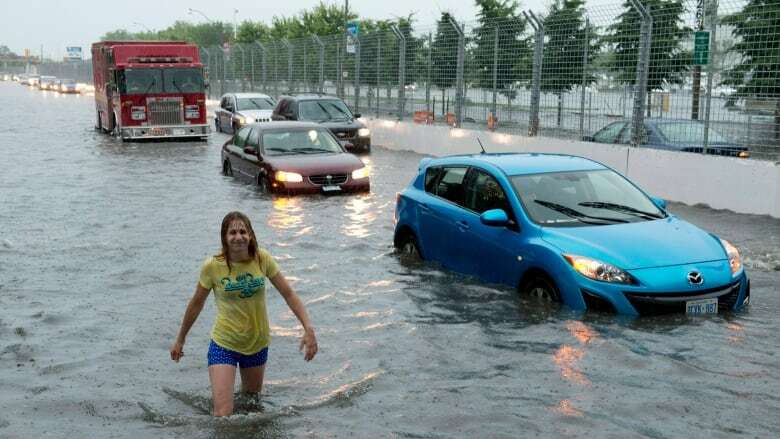 Jason Thistlethwaite, an assistant professor of Environment and Business with the University of Waterloo's Faculty of Environment, explained that vulnerable populations in cities will pay the highest price if rainfall and flooding increases. "We saw this recently in Toronto with flooding in areas and buildings in the area of Parliament and Bloor. A lot of old buildings, particularly ones that contain a lot of people who are lower-income and socially economically vulnerable, are not built with today's building codes and standards and that actually leaves them quite exposed," he told The Current's Anna Maria Tremonti. This conversation comes on the heels of a new report on climate change's effects in Canada, which states the country is warming at twice the global rate. As the report outlines, this could cause more frequent and intense rainfall events in cities. This would increase urban flood risk, which Thistlethwaite said cities just aren't prepared for. "Cities are by far the most vulnerable political jurisdictions in Canada to climate change, but have the least amount of resources to deal with them," he explained. "What this means is that they're going to need to raise revenue to pay for things like the rebuilding of roads, upgrading stormwater systems ... even most likely relocating property away from high risk areas." City infrastructure, like pipes and stormwater systems, are antiquated and not built to withstand Canada's changing climate, Thistlethwaite added. The "inevitable" result of this, he said, is increased taxes. 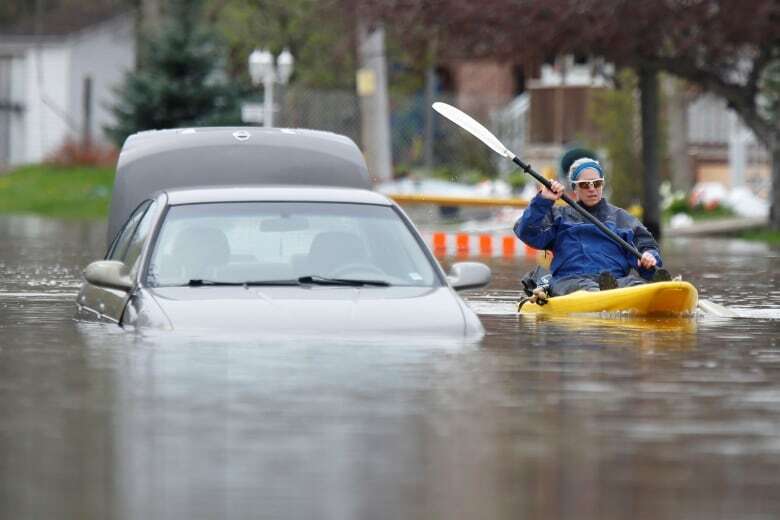 A woman paddles a kayak past an abandoned car on a flooded residential street in Gatineau, Que., on May 4, 2017. "So in addition to higher costs, get used to being disrupted, be it via transit or facing and uncomfortable situations where you live." Colleen Mercer Clarke, a marine ecologist who has spent nearly 40 years working with coastal communities facing rising seas. She's also the chair of the Canadian Society of Landscape Architects Committee on Climate Adaptation. Jason Thistlethwaite, assistant professor of Environment and Business with the University of Waterloo Faculty of Environment. William Josie, a Yukon elder and executive director of the Vuntu Gwitchin First Nation. Produced by Alison Masemann and Jessica Linzey.